Blog • Opium Teahouse — Opium Teahouse. The chromed machine whizzes and whirls. Warps, buzzes and stops. Moments later it starts again. Amidst this ubiquitous noise, patrons talk at the counter sipping espressos and savouring a delectable sweet treat. 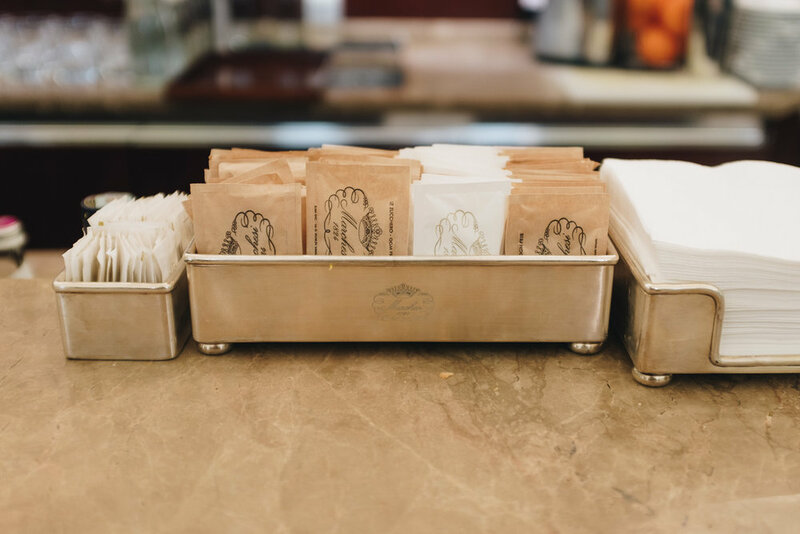 If coffee in Italy is something to be taken seriously then at Pasticceria Marchesi in Milan, it is a solemn moment. Founded in 1824, Marchesi is the oldest and most famous pasticceria – literally translated as pastry shop — in Milan. Not only because of its two centuries of history, mouth-melting handmade confections or its beautiful interior decor but because of their always perfectly brewed coffee. The countless patrons that cross the doors of Marchesi on Via Monte Napoleone — the second location of the historic Milanese pastry shop and its first expansion since opening in 1824 — do it so in search of a cappuccino on their way to work, a mid-afternoon espresso or to pick up an exquisite box of fruit jellies on their way home. Steeped in tradition, Marchesi feels and is a remnant of a different era. A time when life was slower and little routines like drinking your espresso was as crucial as heading to work. That is, perhaps, why Marchesi makes an effort to maintain this aura throughout their three locations. There is no place for unruly beards and men buns; the baristas dress in pristine white uniforms and bow ties. No one is working on their laptops in the intimate dining area at the back, and while there is Wi-Fi available, the clientele is more interested in savouring their orders. This mystical atmosphere is also heightened by the intelligent design and branding Marchesi has. Under the eye of architect Roberto Baciocchi, the shop surprises with a zingy chartreuse upholstery matching the pastel-coloured candies displayed in tall glass jars. Marble-top tables and green silk chairs complete the room. 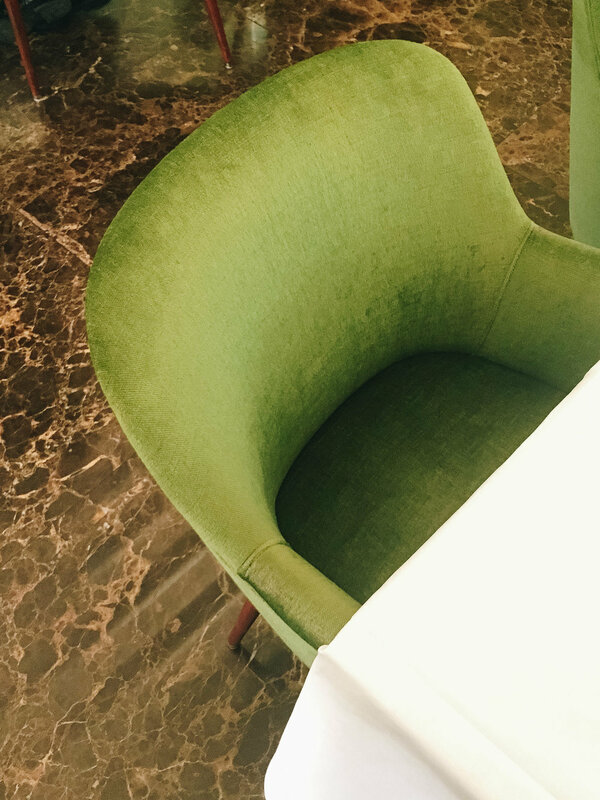 Marchesi is as much about the coffee as it is, like everything in Milan, about the fashion. So do take out your best ensemble, a trip to the pasticceria is a momentous occasion. It would be criminal to ask for anything else other than an espresso or a cappuccino on your first experience of Marchesi. However, the menu also offers juices, cocktails and teas. Soy milk is also available for those who eschew dairy but want a cappuccino. Pair your coffee with a berry tarts miniatures, a Budino di Riso (Milanese rice pudding cake) or a fruit jelly.